SPRING VALLEY, Minn.—Rodney Sanders put a bow on his record-breaking 2014 season Thursday night with his 25th United States Modified Touring Series victory of the season while capturing the opening night main event at the 16th Annual Featherlite Fall Jamboree. With his second straight USMTS national championship already locked up coming into the final points race in the Hunt for the USMTS Casey’s Cup, the 24-year-old from Happy, Texas, had one less thing to worry about while he focused on chasing records and collecting more oversized plastic checks. As he had in many of his previous two dozen wins this year, Sanders avoided trouble early and turned on the afterburners late to seal the victory—this time against arguably the toughest field he faced all year long. Cade Dillard, who clinched the 2014 USMTS Rookie of the Year title when the series visited the Deer Creek Speedway less than three weeks ago, was the class of the field early on. 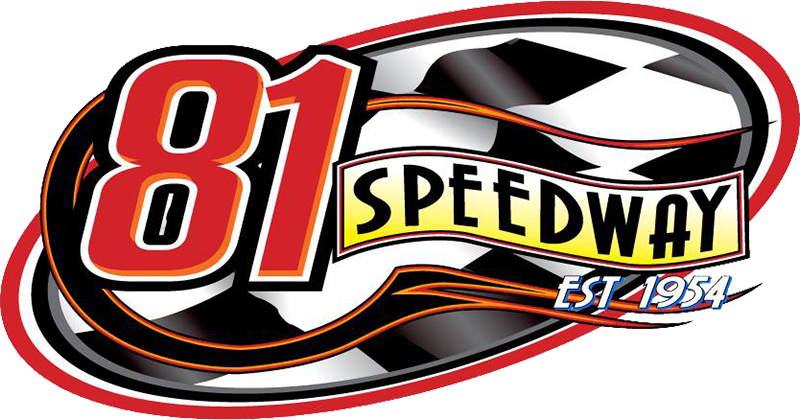 Dillard, 23, raced from eighth to second in his 12-lap heat race to earn the Sybesma Graphics Pole Award, and then redrew the outside of the front row to start the $5,000-to-win, 40-lap main event. He made quick work of polesitter Tyler Townsend, with Terry Phillips following into second two laps later as Zack VanderBeek and Sanders joined in as the lead five broke away from the rest of the field. Phillips flew around the outside of Dillard to take the lead on lap 8, but the veteran racer from Springfield, Mo., made several jaws drop when he spun by himself two orbits later. While Phillips rejoined the race at the tail of the 30-car field, Dillard inherited the lead once again, but his second term was short-lived as VanderBeek muscled his way past on lap 12. Sanders made his way into second on lap 15, and then closed up on the rear bumper of VanderBeek. After shadowing VanderBeek for ten laps, Sanders took control and that was all she wrote. The Z-Man stayed within striking distance, but had to settle for the runner-up paycheck while Sanders pocketed the $5,000 top prize. In addition to officially being crowned the USMTS national champion for the second year in a row, Sanders’ 25th triumph of the season surpassed Ryan Gustin’s 2011 win mark, and now stands as the second-most wins in a season behind Kelly Shryock’s 30 wins in 2006. It also gave Sanders his 43rd career USMTS triumph, moving him ahead of Tommy Myer for fourth on the all-time USMTS wins list behind Shryock (181), Jason Hughes (123) and Gustin (68). 2007 USMTS national champion Jason Krohn, driving one of Sanders’ back-up cars, finished third while the Mesilla Valley Transportation Hard Charger Award went to Nate Wasmund who finished fourth after starting 23rd. Jeremy Payne rounded out the top five. Stormy Scott came from 20 to finish sixth and Phillips bounced back to take the seventh spot. Myer, Dillard and 28-starting Brandon Davis wound up eighth, ninth and tenth, respectively. In the final points standings, Sanders bested VanderBeek by 136 points (1576 to 1440) and Scott took third with 1310 markers. Fourth through tenth were Shryock (1207), Johnny Scott (1189), Dereck Ramirez (1135), Joe Duvall (1120), Daniel Hilsabeck (1053), John Allen (977) and Dillard (862). In a tight race from start to finish, Sput’s Racing Engines of Owatonna, Minn., captured the COMP Cams Engine Builder of the Year title while LG2 Chassis claimed the 2014 Tiger Quick Change Manufacturers Championship. Action continues Friday with another $5,000-to-win main event capping off the night. The pit gate opens at 3 p.m., spectator gates open at 4 and the first green flag waves at 6:30 p.m. General admission adult grandstand tickets are $25 and kids ages 12 and younger are just $10. The annual Club Car Jamboree Open presented by Miner’s Outdoor & Rec takes place at the Root River County Club in Spring Valley with a shotgun start at 9:30 a.m. Fans, drivers, crews and their families will put a lid on Friday’s festivities with the return of The Dweebs performing live on stage following the races. Showing finishing position, starting position in parentheses, car number, driver, hometown, chassis/engine builder, laps completed and money won. The top 13 drivers in passing points accumulated in the heat races were locked into the “A” Main, with the top 8 re-drawing for starting positions 1-8. 4. (12) 99 Jesse Sobbing, Glenwood, Iowa. 5. (8) 29d Brad Dierks, Clarence, Iowa. 6. (11) 71 Jason Cummins, New Richland, Minn.
7. (9) 22d Daniel Hilsabeck, Waukee, Iowa. 8. (3) 51 Chris Oertel, Marshfield, Wis.
9. (14) 75 James Parker, Dodge Center, Minn.
10. (1) 55 Jeff Wood, Chisholm, Minn.
11. (13) 89x Paul Harelstad (R), Bloomer, Wis.
12. (2) 59 Bob Sammann (R), Winona, Minn.
13. (10) 24jr Jeff Lien Jr., Mora, Minn.
14. (7) 8 Mark Hoover, Maryville, Mo. 1. (3) 12t Tyler Townsend, Longview, Texas. 2. (2) 555 Ryan Ruter, Kanawha, Iowa. 3. (5) V2 Joey Jensen, Harris, Minn.
4. (1) 1a Dwaine Hanson, Lakefield, Minn.
5. (8) 18s Dave Schroeder, Glenwood, Minn.
6. (9) 88d Matt Dotson, Hallsville, Mo. 7. (10) 21t Lance Town (R), Louisburg, Kan.
8. (6) 16 Austin Siebert, Grandview, Mo. 9. (7) 89 Eric Pember, Pittsville, Wis.
10. (13) 30 Josh Ruby, Lakota, Iowa. 11. (4) 2 Kenny Gaddis, Hallsville, Texas. 12. (11) 20m Mark Motl (R), Owatonna, Minn.
13. (12) 1st Johnny Scott, Las Cruces, N.M.
2. (8) 97 Cade Dillard (R), Robeline, La. 3. (2) 23k Darwin Karau, Kasson, Minn.
4. (4) 51 Tim Setzer, Archie, Mo. 5. (10) 54 Jeremy Houle (R), Ham Lake, Minn.
6. (12) 24 Brad Waits, Rochester, Minn.
7. (13) 50iii Brandon Davis, Medford, Minn.
8. (6) 11 Jody Bellefeuille (R), Duluth, Minn.
9. (1) 2r Rickie Roche, International Falls, Minn.
10. (11) 1* Adam Penn (R), Shreveport, La. 11. (5) 90 Terry Schultz, Sedalia, Mo. 12. (7) 8s Jon Sheets (R), Nevada, Mo. 13. (9) 77 Tom Brink, Winona, Minn.
1. (4) 87 John Webb, Pauls Valley, Okla.
2. (1) 1k Pat Graham, Ames, Iowa. 3. (6) 89c Steve Whiteaker Jr., Corpus Christi, Texas. 4. (3) R Ron Ver Beek, Oskaloosa, Iowa. 5. (9) 69 Lucas Schott, Chatfield, Minn.
6. (5) 68 Kerry Davis, Parkville, Mo. 7. (11) 96 Jay Ihrke, Dover, Minn.
8. (2) 38 Rick Cannata, Hibbing, Minn.
9. (13) 14 Jon Tesch, Watertown, S.D. 10. (7) 26g Bob Gierke, Westport, Minn.
11. (12) 29h Joe Horgdal, Kasson, Minn.
12. (8) 27 Don Gerritsen Jr., Rock Rapids, Iowa. 13. (10) 25 Tyler Vandekamp (R), Ankeny, Iowa. 1. (2) 7x Jesse Glenz, Cadott, Wis.
3. (5) 20k Jason Krohn, Slayton, Minn.
4. (4) 77 Steven Bowers Jr., Topeka, Kan.
5. (6) 2 Grant Junghans, Manhattan, Kan.
6. (3) 27s Jason Schlangen, Cresco, Iowa. 7. (8) 85 Thomas Tillison Jr., Wellston, Okla.
8. (10) 98 John Allen, Chanute, Kan.
9. (9) 52w Nate Wasmund, Rochester, Minn.
10. (7) 51 Tim Thomas, West Fargo, N.D.
11. (11) 95 Keith Foss, Winona, Minn.
12. (12) 00 Robby Bunkelman, Abbotsford, Wis.
DNS - 9 John Carpenter, Hibbing, Minn.
1. (1) 186 Jeremy Payne, Springfield, Mo. 2. (2) 10 Austin Arneson (R), Fargo, N.D.
3. (4) 4r Dereck Ramirez, Woodward, Okla.
4. (3) 2s Stormy Scott, Las Cruces, N.M.
5. (10) IOU1 Brent Larson (R), Lake Elmo, Minn.
6. (5) 110 Jason Miller, Osceola, Wis.
8. (13) 98 Kevin Stoa, Albert Lea, Minn.
9. (6) R1 Jay Richardson (R), Spring Valley, Wis.
10. (7) 0 Les Duellman, Winona, Minn.
11. (12) 4a Joel Alberts, Mantorville, Minn.
12. (9) 6m Ted Marrs, Bethel, Minn.
13. (11) 96 Greg Jensen, Albert Lea, Minn.
1. (3) 33z Zack VanderBeek, New Sharon, Iowa. 2. (5) 65 Tommy Myer, Blooming Prairie, Minn.
3. (6) 2 Casey Arneson (R), Fargo, N.D.
4. (11) 91 Craig Thatcher, Knapp, Wis.
5. (12) 5 Brandon Beckendorf, Danube, Minn.
6. (8) 5* Casey Penn, Shreveport, La. 7. (9) 36 Jeff Conner, Panora, Iowa. 8. (2) 49 Bob Timm, Winona, Minn.
9. (13) 86d Dagan Heim, Rosemount, Minn.
10. (4) 16s David Schoenberger, Beaver Dam, Wis.
11. (1) 72 Doug Hillson, Blooming Prairie, Minn.
12. (7) 3 Kelly Shryock, Fertile, Iowa. 13. (10) 2x Brady Gerdes, Villard, Minn.
1. (1) 89c Steve Whiteaker Jr., Corpus Christi, Texas. 2. (4) 29d Brad Dierks, Clarence, Iowa. 3. (2) 10 Austin Arneson (R), Fargo, N.D.
4. (14) 3 Kelly Shryock, Fertile, Iowa. 5. (6) 88d Matt Dotson, Hallsville, Mo., Hughes/BMS, $50. 6. (3) 23k Darwin Karau, Kasson, Minn., Killer/Flyin’J, $50. 7. (7) 27s Jason Schlangen, Cresco, Iowa, Skyrocket/Sput’s, $50. 8. (5) 77 Steven Bowers Jr., Topeka, Kan., SB/B&B, $50. 9. (11) R1 Jay Richardson (R), Spring Valley, Wis., SSR/MAS, $50. 10. (9) 86d Dagan Heim, Rosemount, Minn., /, $50. 11. (13) 2 Kenny Gaddis, Hallsville, Texas, Hughes/PTS, $50. 12. (10) 49 Bob Timm, Winona, Minn., GRT/BuckBuilt, $50. 13. (8) 85 Thomas Tillison Jr., Wellston, Okla., Hughes/Geddes, $50. 14. (12) 0 Les Duellman, Winona, Minn., DirtDueler/KSE, $50. DNS - 9 John Carpenter, Hibbing, Minn., Galloper/Tim’s, $50. DNS - 20m Mark Motl (R), Owatonna, Minn., GRT/Sput’s, $50. 3. (6) 110 Jason Miller, Osceola, Wis.
4. (8) 51 Chris Oertel, Marshfield, Wis., GRT/Butch’s, $50. 5. (1) 2 Casey Arneson (R), Fargo, N.D., MasterSbilt/Mullins, $50. 6. (10) 1* Adam Penn (R), Shreveport, La., Hughes/Mullins, $50. 7. (5) 5* Casey Penn, Shreveport, La., Hughes/Mullins, $50. 8. (3) 54 Jeremy Houle (R), Ham Lake, Minn., MBCustom/Speedwerx, $50. 9. (14) 24jr Jeff Lien Jr., Mora, Minn., Matrix/Sput’s, $50. 10. (12) 90 Terry Schultz, Sedalia, Mo., Hughes/Mullins, $50. 11. (15) 96 Greg Jensen, Albert Lea, Minn., Mars/KSE, $50. 12. (11) 16s David Schoenberger, Beaver Dam, Wis., Victory/Warren’s, $50. 13. (9) 30 Josh Ruby, Lakota, Iowa, Skyrocket/KSE, $50. 14. (13) 8s Jon Sheets (R), Nevada, Mo., Extreme/Hatfield, $50. 15. (7) 99 Josh Angst, Winona, Minn., GRT/Sput’s, $50. DNS - 18s Dave Schroeder, Glenwood, Minn., GRT/Adams, $50. 1. (2) 20k Jason Krohn, Slayton, Minn.
2. (3) IOU1 Brent Larson (R), Lake Elmo, Minn.
3. (5) 71 Jason Cummins, New Richland, Minn.
4. (10) 89 Eric Pember, Pittsville, Wis., Hughes/Mullins, $50. 5. (6) 96 Jay Ihrke, Dover, Minn., Fegers/Sput’s, $50. 6. (1) 555 Ryan Ruter, Kanawha, Iowa, Sidebiter/Sput’s, $50. 7. (13) 95 Keith Foss, Winona, Minn., Skyrocket/Grove, $50. 8. (11) 55 Jeff Wood, Chisholm, Minn., Shaw/, $50. 9. (14) 27 Don Gerritsen Jr., Rock Rapids, Iowa, Razor/HarryHeads, $50. 10. (12) 89x Paul Harelstad (R), Bloomer, Wis., Hughes/Sput’s, $50. 11. (8) 75 James Parker, Dodge Center, Minn., Kraft/JPRE, $50. 12. (15) 2x Brady Gerdes, Villard, Minn., GRT/Sput’s, $50. 13. (7) 98 Kevin Stoa, Albert Lea, Minn., Harris/KSE, $50. 14. (9) 16 Austin Siebert, Grandview, Mo., GRT/Mullins, $50. 15. (4) 1a Dwaine Hanson, Lakefield, Minn., Hughes/, $50. DNS - 1st Johnny Scott, Las Cruces, N.M., Ramirez/Cornett, $400. 2. (2) 5 Brandon Beckendorf, Danube, Minn.
3. (4) 51 Tim Setzer, Archie, Mo. 4. (5) 2 Grant Junghans, Manhattan, Kan., LG2/Sput’s, $50. 5. (8) 98 John Allen, Chanute, Kan., GRT/Hatfield, $400. 6. (7) 22d Daniel Hilsabeck, Waukee, Iowa. 7. (6) 21t Lance Town (R), Louisburg, Kan., Hughes/Driskell, $50. 8. (9) 11 Jody Bellefeuille (R), Duluth, Minn., MBCustom/Hill, $50. 9. (11) 26g Bob Gierke, Westport, Minn., GRT/Tim’s, $50. 10. (1) 1k Pat Graham, Ames, Iowa, Skyrocket/Karl, $50. 11. (15) 8 Mark Hoover, Maryville, Mo., Sidebiter/Niers, $50. 12. (14) 77 Tom Brink, Winona, Minn., Skyrocket/Grove, $50. 13. (13) 00 Robby Bunkelman, Abbotsford, Wis., GRT/Baxter, $50. 14. (10) 2r Rickie Roche, International Falls, Minn., Harris/Sput’s, $50. 15. (12) 29h Joe Horgdal, Kasson, Minn., GRT/Action, $50. DNS - 72 Doug Hillson, Blooming Prairie, Minn., GRT/Fast, $50. 2. (10) 52w Nate Wasmund, Rochester, Minn.
3. (5) 50iii Brandon Davis, Medford, Minn.
4. (3) 24 Brad Waits, Rochester, Minn., LG2/Sput’s, $50. 5. (2) 4r Dereck Ramirez, Woodward, Okla., Ramirez/Cornett, $400. 6. (12) 4a Joel Alberts, Mantorville, Minn., GRT/Action, $50. 7. (4) R Ron Ver Beek, Oskaloosa, Iowa, Skyrocket/Midstate, $50. 8. (8) 14 Jon Tesch, Watertown, S.D., GRT/Sput’s, $50. 9. (7) 36 Jeff Conner, Panora, Iowa, Skyrocket/Durham, $50. 10. (11) 51 Tim Thomas, West Fargo, N.D., Venom/G-Force, $50. 11. (9) 38 Rick Cannata, Hibbing, Minn., Shaw/, $50. 12. (14) 6m Ted Marrs, Bethel, Minn., Frederick/Homerun, $50. 13. (15) 25 Tyler Vandekamp (R), Ankeny, Iowa, Victory/Harvey, $50. 14. (13) 59 Bob Sammann (R), Winona, Minn., Hughes/KSE, $50. 15. (6) 68 Kerry Davis, Parkville, Mo., GRT/Sput’s, $50. 1. (6) 20 Rodney Sanders, Happy, Texas, MBCustom/Geddes, 40, $5000. 2. (4) 33z Zack VanderBeek, New Sharon, Iowa, LG2/Sput’s, 40, $3000. 3. (16) 20k Jason Krohn, Slayton, Minn., MBCustom/Sput’s, 40, $2000. 4. (23) 52w Nate Wasmund, Rochester, Minn., GRT/Action, 40, $1600. 5. (11) 186 Jeremy Payne, Springfield, Mo., GRT/Durham, 40, $1200. 6. (20) 2s Stormy Scott, Las Cruces, N.M., LG2/ProPower, 40, $1000. 7. (3) 75 Terry Phillips, Springfield, Mo., GRT/Hatfield, 40, $900. 8. (9) 65 Tommy Myer, Blooming Prairie, Minn., Ramirez/Sput’s, 40, $800. 9. (2) 97 Cade Dillard (R), Robeline, La., LG2/105, 40, $750. 10. (28) 50iii Brandon Davis, Medford, Minn., MBCustom/KSE, 40, $700. 11. (5) 91 Joe Duvall, Claremore, Okla., MBCustom/Mullins, 40, $650. 12. (26) 71 Jason Cummins, New Richland, Minn., Sidebiter/Sput’s, 40, $600. 13. (10) 99 Jesse Sobbing, Glenwood, Iowa, MBCustom/Sput’s, 40, $550. 14. (12) 91 Craig Thatcher, Knapp, Wis., GRT/TriStar, 40, $525. 15. (29) 3 Kelly Shryock, Fertile, Iowa, Skyrocket/ASI, 40, $500. 16. (24) 10 Austin Arneson (R), Fargo, N.D., MasterSbilt/Mullins, 40, $475. 17. (19) 29d Brad Dierks, Clarence, Iowa, Skyrocket/Sperry, 40, $450. 18. (21) IOU1 Brent Larson (R), Lake Elmo, Minn., Shaw/Tim’s, 40, $450. 19. (13) 20r Bryan Rowland, Woodward, Okla., LG2/ProPower, 40, $450. 20. (15) V2 Joey Jensen, Harris, Minn., SSR/Tim’s, 40, $450. 21. (27) 51 Tim Setzer, Archie, Mo., Hughes/Driskell, 40, $450. 22. (17) 69 Lucas Schott, Chatfield, Minn., Hughes/Sput’s, 40, $450. 23. (25) 110 Jason Miller, Osceola, Wis., GRT/Anderson, 40, $450. 24. (22) 5 Brandon Beckendorf, Danube, Minn., Skyrocket/Sput’s, 40, $450. 25. (7) 7x Jesse Glenz, Cadott, Wis., MBCustom/Tim’s, 40, $450. 26. (30) 22d Daniel Hilsabeck, Waukee, Iowa, Hughes/Mullins, 40, $450. 27. (8) 87 John Webb, Pauls Valley, Okla., MBCustom/Mullins, 40, $450. 28. (1) 12t Tyler Townsend, Longview, Texas, Hughes/PTS, 40, $450. 29. (14) 89c Steve Whiteaker Jr., Corpus Christi, Texas, Hughes/Mullins, 22, $450. 30. (18) 90 Steve Wetzstein, West Concord, Minn., Skyrocket/Sput’s, 10, $450. Lap Leaders: Dillard 1-7, Phillips 8-10, Dillard 11, VanderBeek 12-24, Sanders 25-40. Total Laps Led: Sanders 16, VanderBeek 13, Dillard 8, Phillips 3. Margin of Victory: 1.025 seconds. Mesilla Valley Transportation Hard Charger: Wasmund (started 23rd, finished 4th). Next Race: Friday-Saturday, Sept. 19-20, Deer Creek Speedway, Spring Valley, Minn.
Hunt for the USMTS Casey’s Cup Points (final): Sanders 1576, VanderBeek 1440, S. Scott 1310, Shryock 1207, J. Scott 1189, Ramirez 1135, Duvall 1120, Hilsabeck 1053, Allen 977, Dillard 862. Rookie of the Year Points (final): Dillard 1879, Jake Gallardo 1781, A. Penn 1436, Town 1320, Dylan Smith 1298. COMP Cams Engine Builder of the Year Points (final): Sput’s 443, Geddes 426, ProPower 413, Mullins 270, ASI 199. Tiger Quick Change Manufacturers Championship Points (final): LG2 506, MBCustom 488, GRT 400, Ramirez 381, Hughes 307. Beyea Custom Headers – J. Scott. Brass Monkey Racing Products – Larson. FK Rod Ends – Shryock. Fuel Safe – S. Scott. GRT Race Cars – Wasmund. KEVKO Oil Pans & Components – Dillard. Marsh Racing Wheels – Whiteaker. Mesilla Valley Transportation – Wasmund. MSD Ignition – Sanders, VanderBeek. PBM Performance Products – Webb, Sanders. Power Lift Racing Products – Dierks.